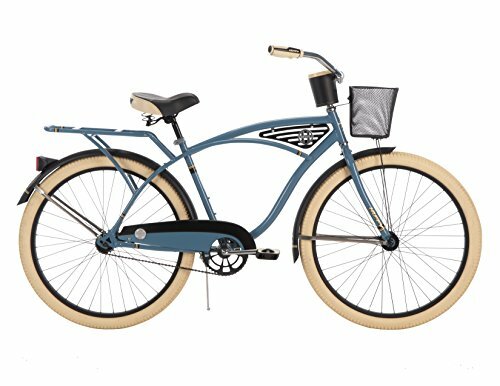 This 26" deluxe bike is stone blue with a premium comfort embroidered spring saddle and an all-purpose rack from convenience and fun riding. It is a classic cruiser design with coaster brakes, oversize hubs, and flared fenders to keep the elements away. The tires are 26" x 2.35" creme color with 38mm steel rims.